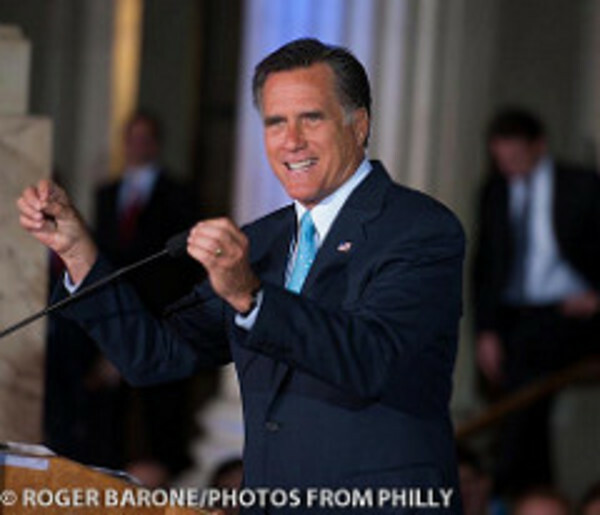 By Ben Cohen: I’d bet a significant amount of my own money that Mitt Romney will not be victorious in the 2012 Presidential election. But with a fragile economy and a breaking middle class, the possibility that Romney could pull an upset is not out of the question. And it is worth worrying about because the consequences of a Romney Presidency are severe. There are many factors working against Romney this year, the primary one being himself. Romney is a deeply unattractive nominee because he has no distinct personality, cannot connect with voters and is painfully out of touch with reality. On top of that, his party has shown the maturity of a group of 6 year olds deprived of cake at a birthday party – hardly inspiring when gearing up for a national election. The GOP hasn’t exactly warmed to him in the past, and the combination of apathy and disorganization could be fatal. Romney cannot even inspire his own party to support him let alone the swing voters and moderates he will need to attract in the general. This all looks good for Obama. However, this election may not come down to who the country likes best or which party is better organized. American voters are a fickle lot, and they’ll jump ship if the economy isn’t providing them with jobs or opportunity. The fact that Republicans are almost entirely responsible for the snail paced economic recovery doesn’t mean much – Americans want jobs and security, and they want them now. Although the US economy has been adding jobs at a better rate in recent months, it is still part of a fragile world economy that could break at any point. A recent report by the IMF highlighted the extreme danger of a disorderly default and exit by Eurozone member, warning it could spark a gigantic market panic and create a bigger crisis than in 2008. Events like this are out of Obama’s hands, and it could ruin his Presidency if he doesn’t make sure he pummels Romney from every angle over the coming months. A Romney President is dangerous for two key reasons. The first is his economic policy, and the second, his foreign policy. On the economy, Romney has pledged to cut taxes and slash welfare at every given opportunity (despite his more mixed record as governor of Massachusetts). We haven’t seen detailed proposals about what he would do in office, but given his statements thus far, its a good bet it wouldn’t involve a great deal of wealth distribution or government funded job creation programs. Romney represents the interest of big business, and he would do their bidding at the expense of the country once in power. Any further cuts to education, welfare or medicare/medicaid would cause untold damage to the already suffering population. An astonishing amount of Americans live with food insecurity, chronic poverty and lack of health care, and they rely on government programs for what little they do have. Much of the US already looks like a third world country, and more austerity measures from Washington would exacerbate the alarming trend. My fear is that this is a man who backed torture, who wanted to “double Gitmo”, whose belief in America’s divine destiny has Mormonism to back it up, who was best buds with Netanyahu, who believes that Russia is our “number one foe”, who wants a big increase in defense spending, and who promises a war on Iran. That’s what we have on the table versus Mataconis’ feeling that Romney would turn to pragmatism in office, as the weight of the office and the permanent interests of the US sink in. Talking about what you would do as President and actually being President are of course two different things – Romney probably doesn’t actually believe half the things he says, but the people he would surround himself with do, and they would make sure he followed a far more brazen foreign policy than the current one. Presidents have far more latitude when it comes to foreign policy, and Romney would have a good shot on following through with his campaign promises. Another war with a Middle Eastern country, more support for Israel, and more inflammatory rhetoric against other super powers would regress Americas standing in the world back to the Bush years and do untold damage to trade and economic cooperation. A Romney Presidency would be a disaster on all fronts, and the mere threat of it should make every intelligent citizen do their best to ensure he get nowhere near the White House in November.